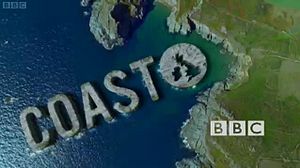 BBC’s documentary Coast demonstrates the conditions of the false lights in the wrecking business. It successfully replicated the conditions that 17th and 18th century ships would have faced in the dangers of false lights. It determined that false lights, namely a single-candle lantern from the shore, would be more that enough to lure a ship off course and into dangerous shoals at nighttime. Watch it! And discover the treacherous of ships and wrecking!